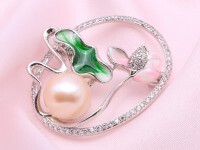 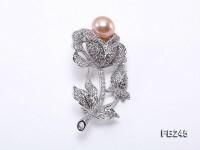 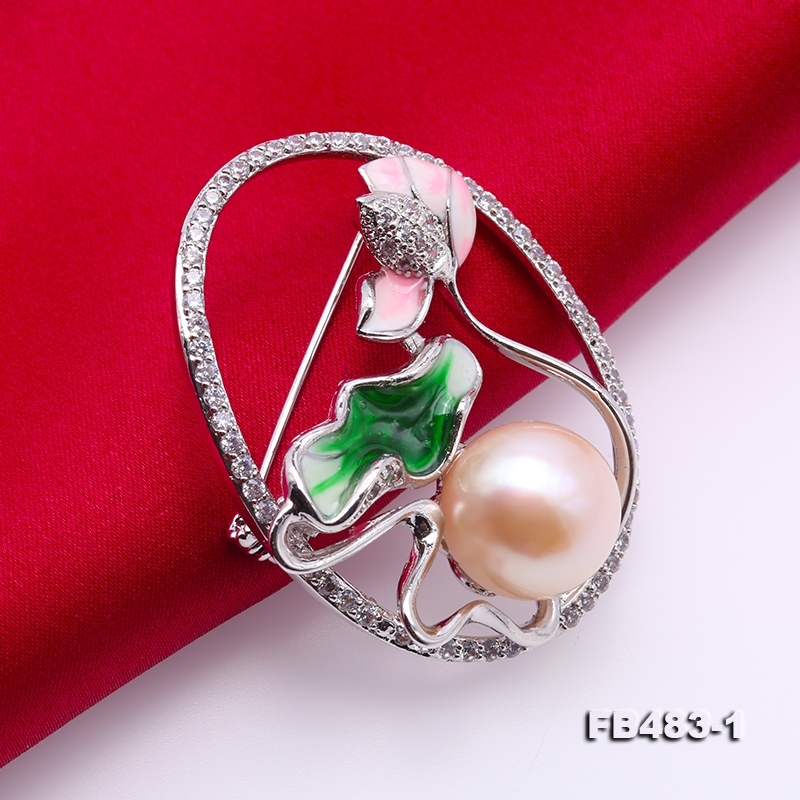 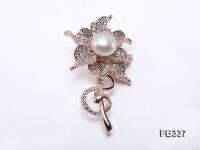 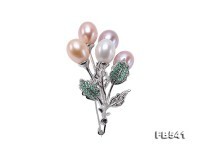 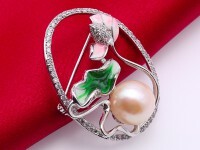 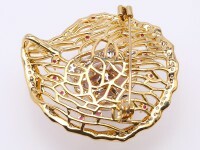 Beautiful pink pearl brooch with pink lotus flower and green lotus leaf. 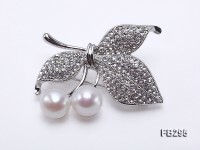 Shiny zircons are inlaid. 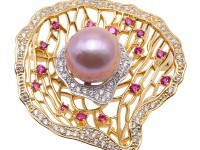 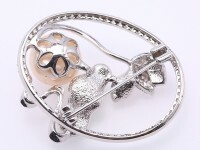 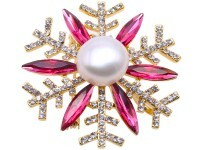 The pink freshwater pearl has big size of 12.5mm, with very perfect skin and strong lustre. 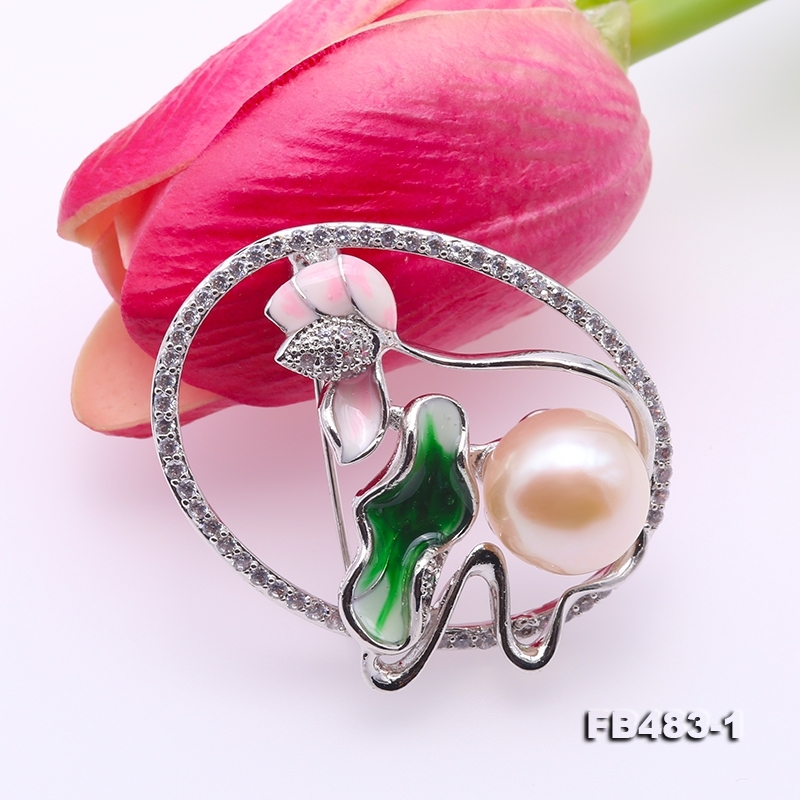 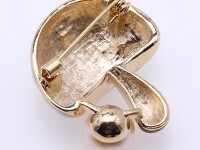 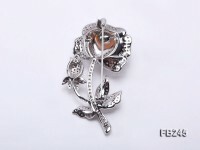 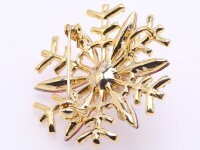 The pendant is delicate and elegant. 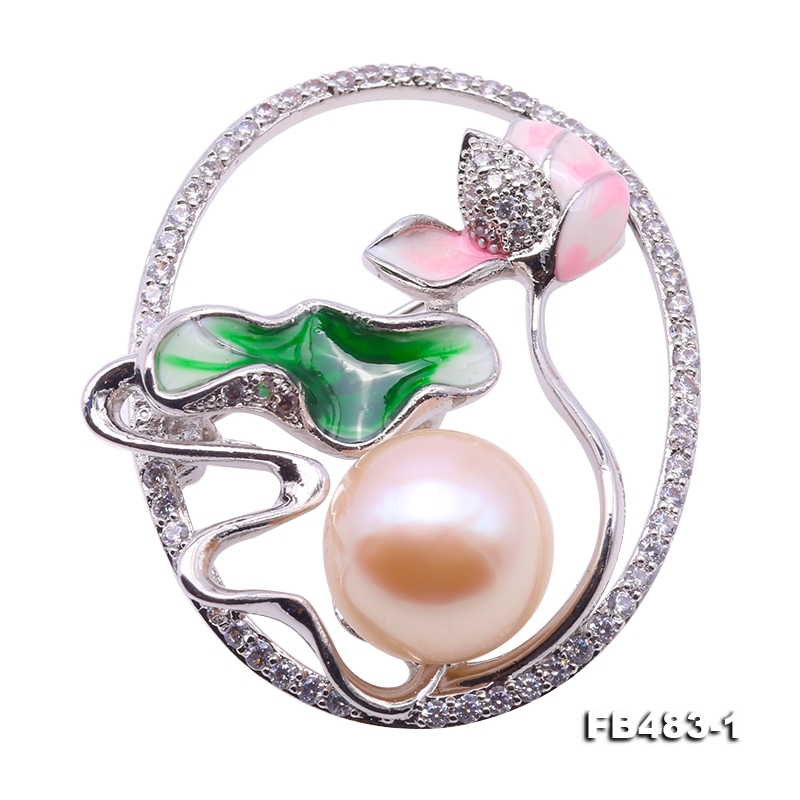 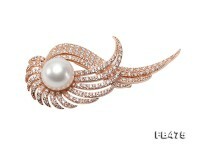 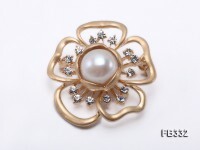 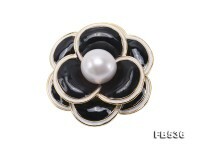 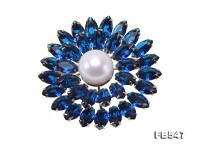 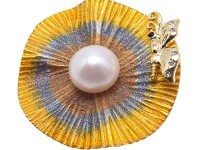 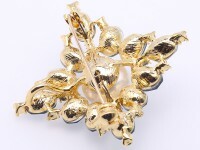 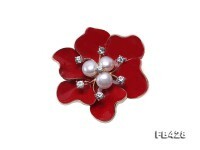 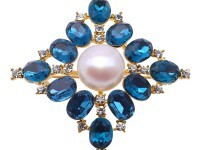 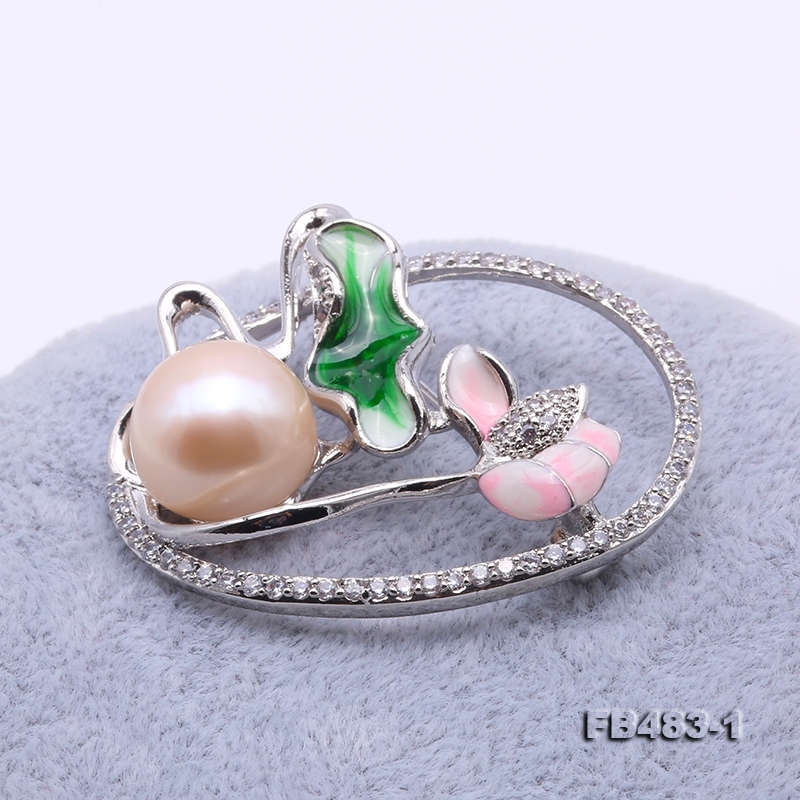 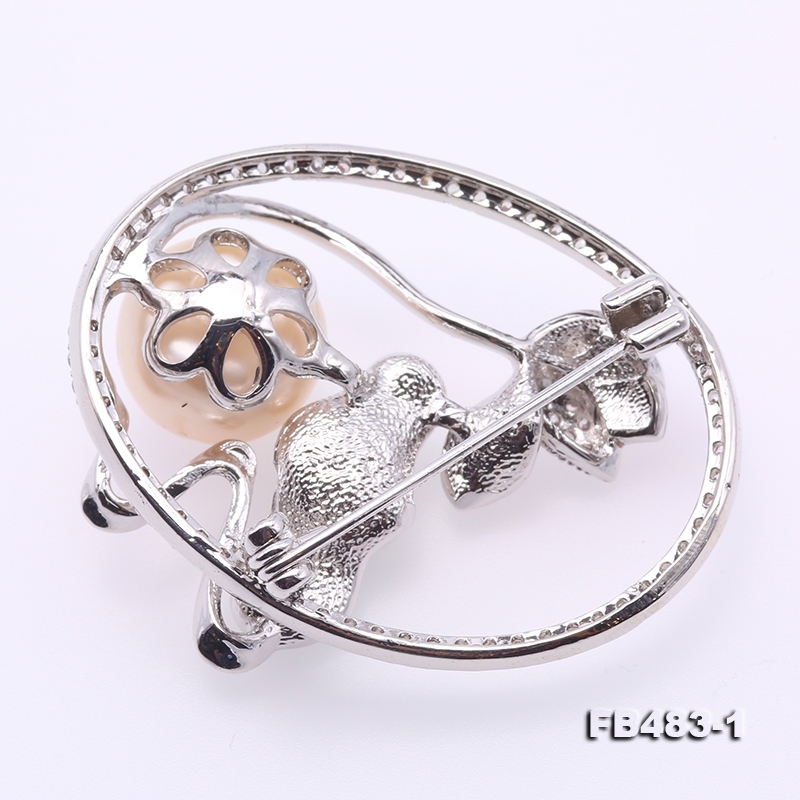 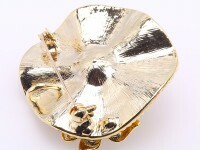 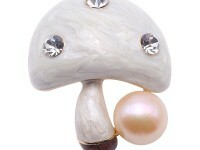 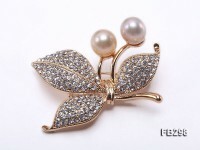 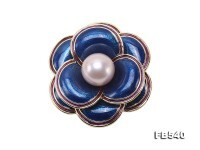 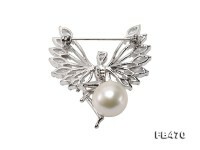 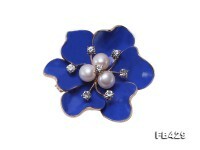 The combination of pearl and lotus is poetic and classical, can bring out the wearer’s good taste.